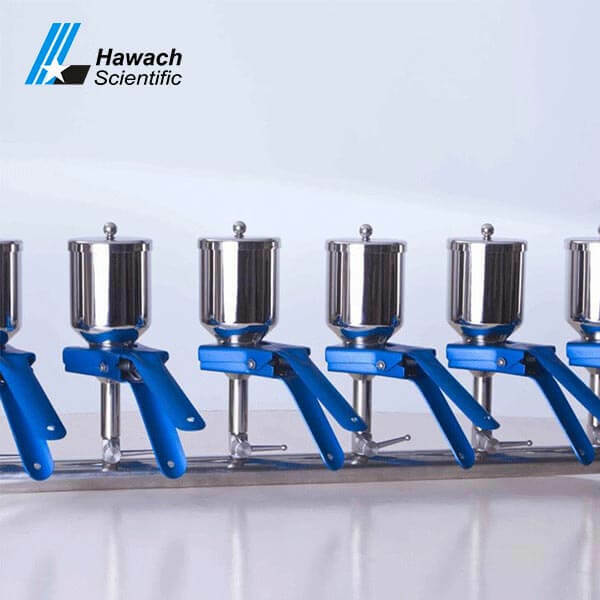 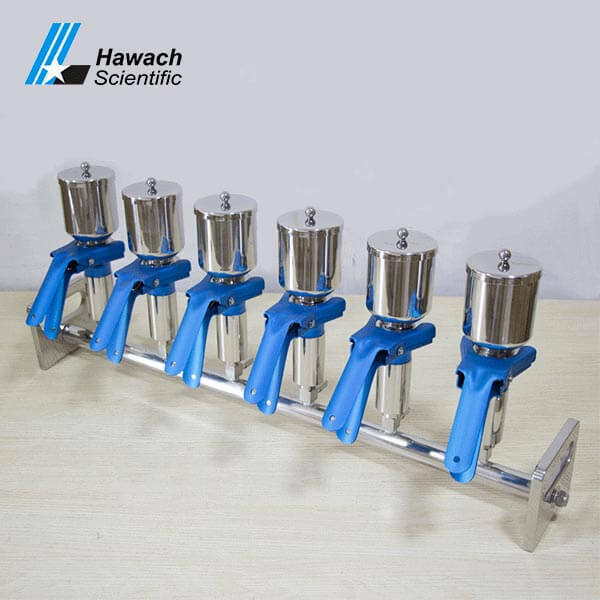 Hawach Scientific Co., Ltd stainless steel six-branches vacuum filtrations, they are all made with 316L stainless steel has the characteristics of acid-resistance, alkali resistance, fast filtering speed, long service life, reasonable structure, easy cleaning and operating. 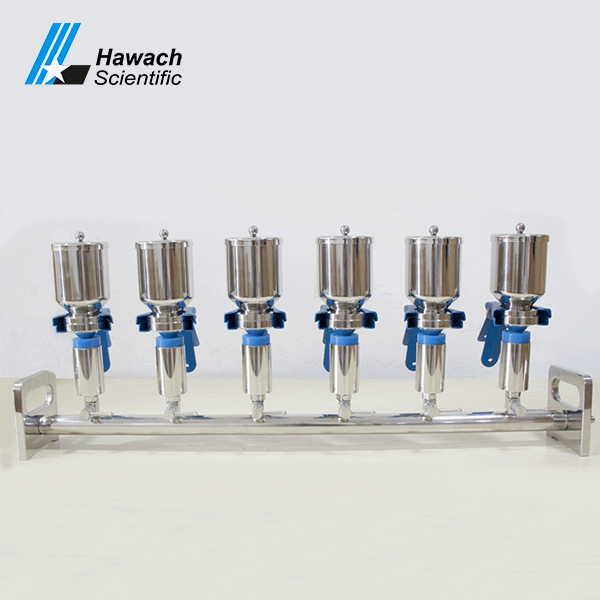 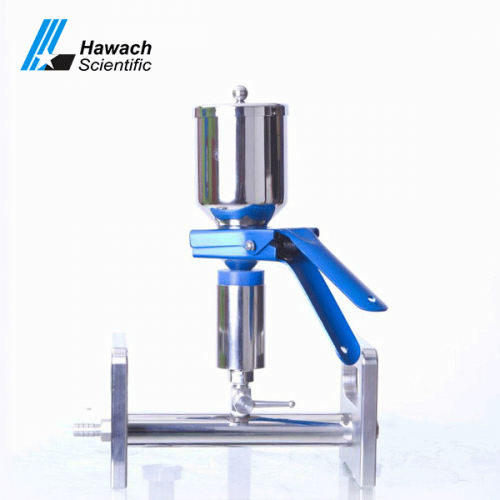 All Hawach Scientific Co., Ltd vacuum filtration manifolds are suitable for the vacuum pumps, if you want to know more, please don’t hesitate to contact us. 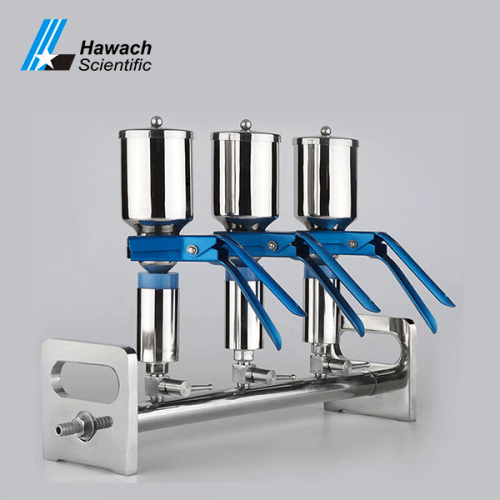 PTFE for glass filtration manifold; SS316L for stainless steel.